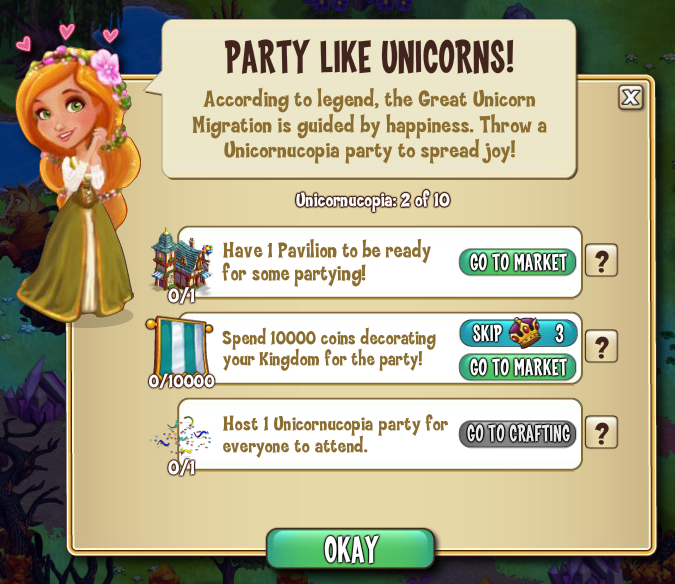 After the recent flurry of mythological creatures such as Dragons and Griffins, it is time now for the Unicorns (Fairy Tales World). 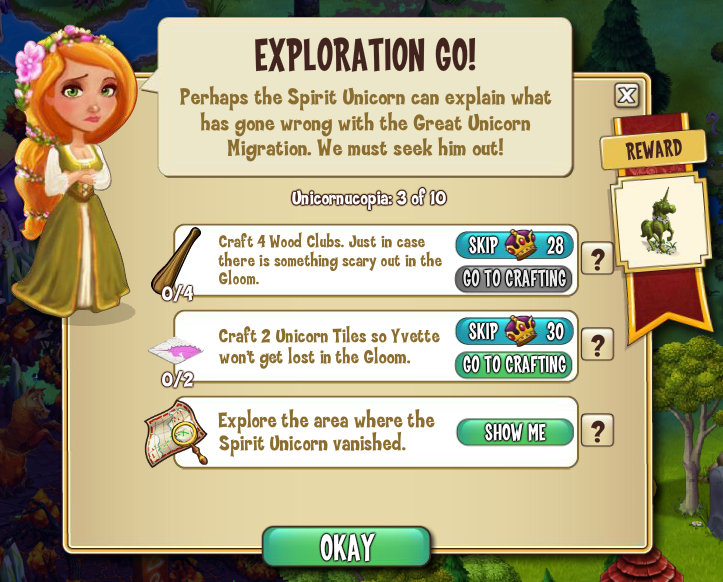 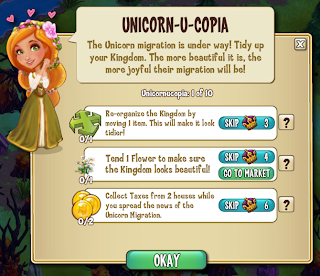 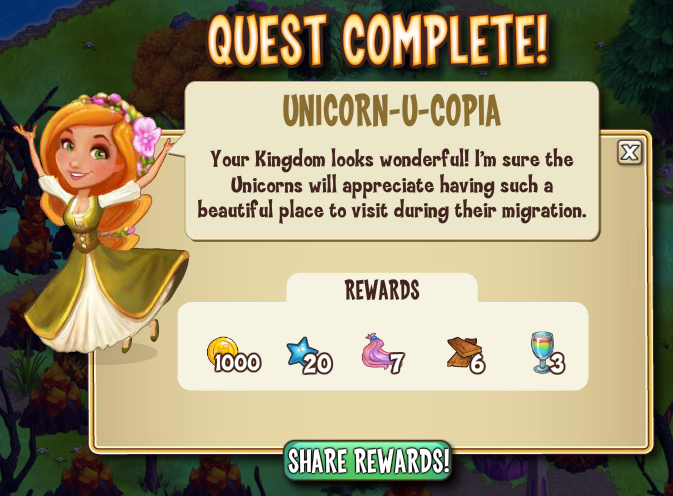 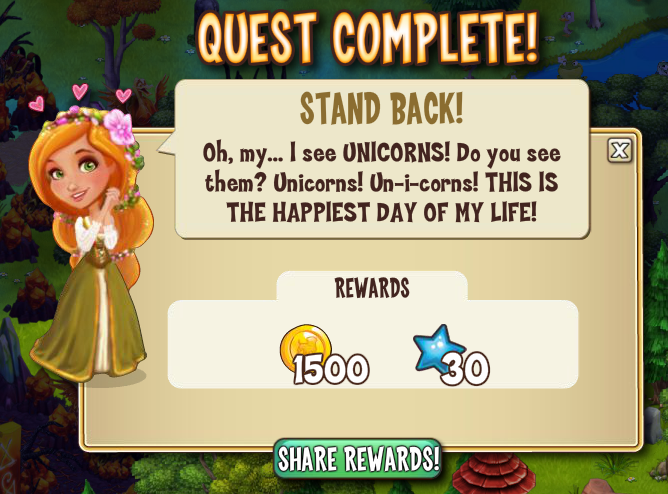 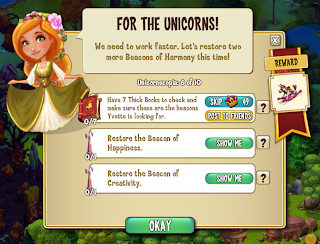 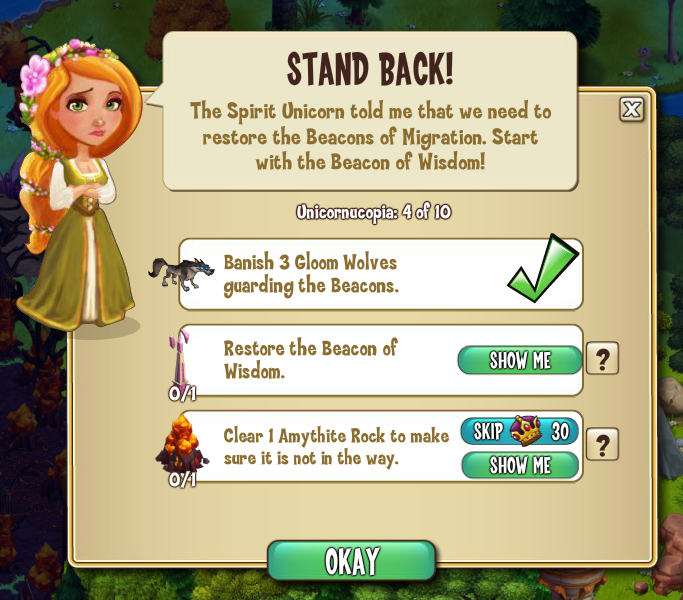 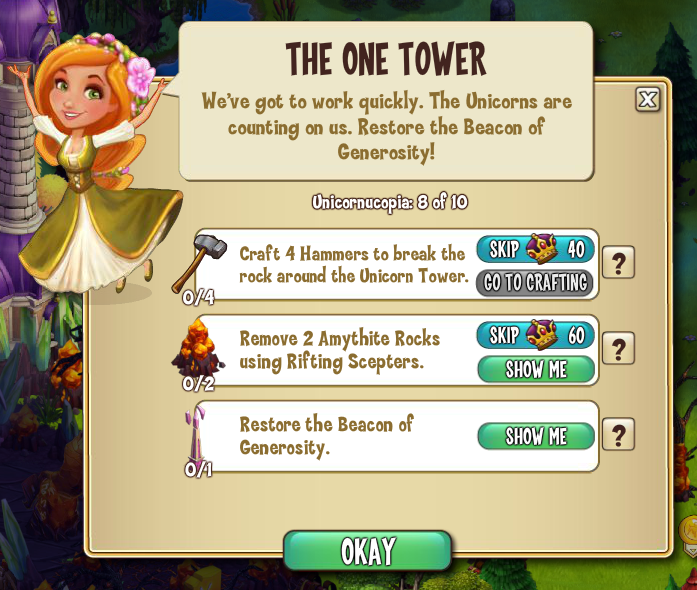 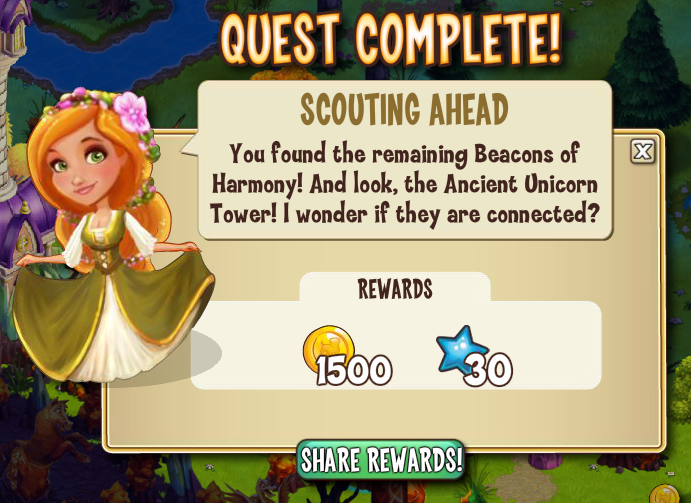 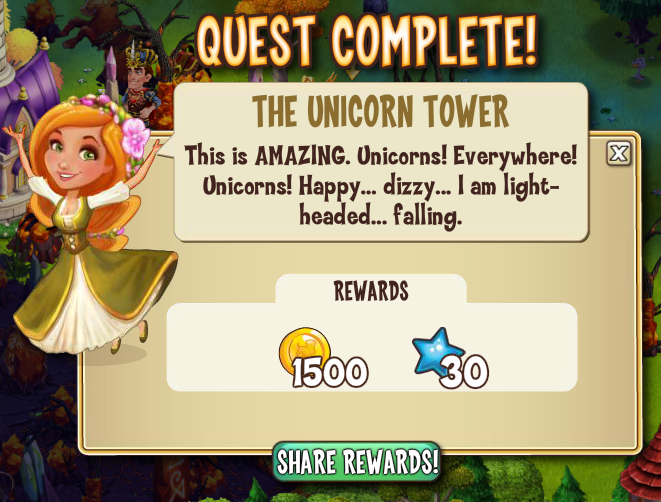 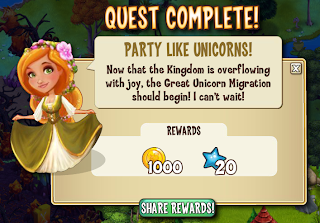 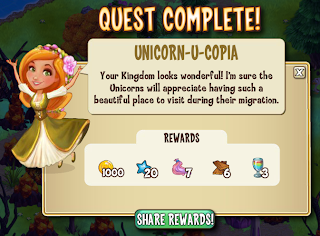 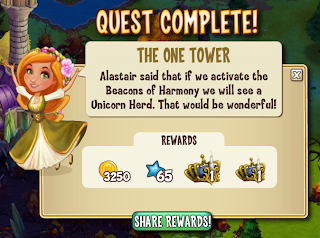 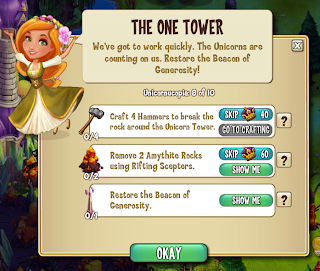 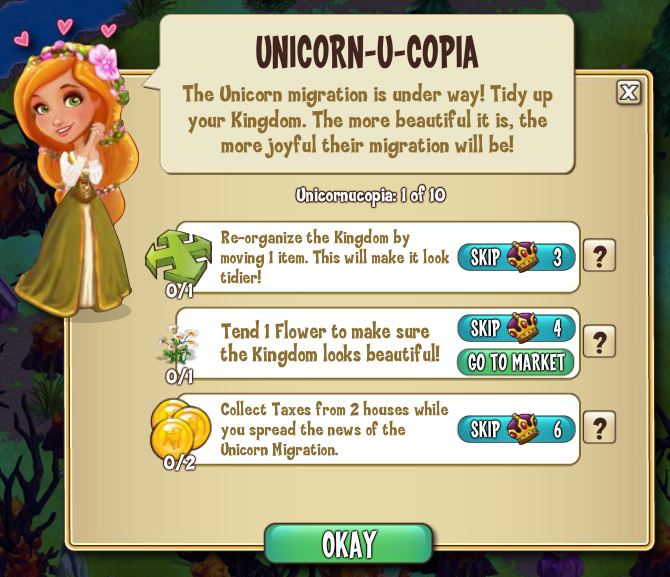 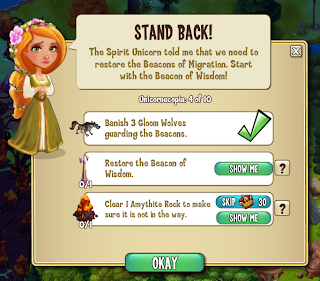 Yvette is giving you this Quest-Line, about the great Unicorn migration! 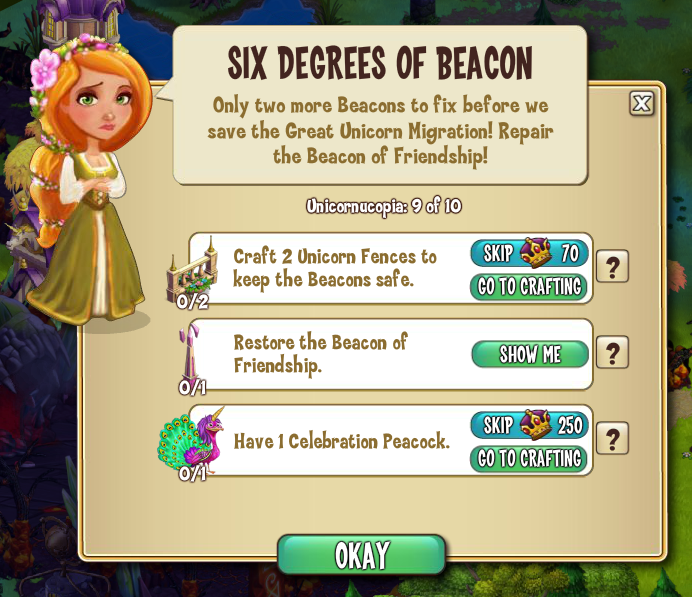 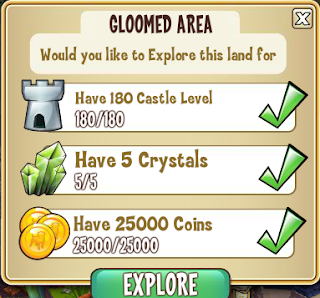 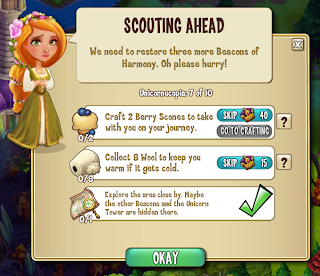 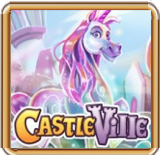 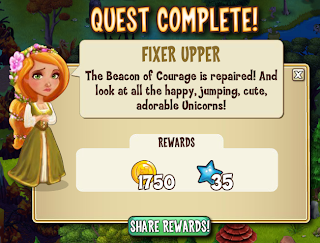 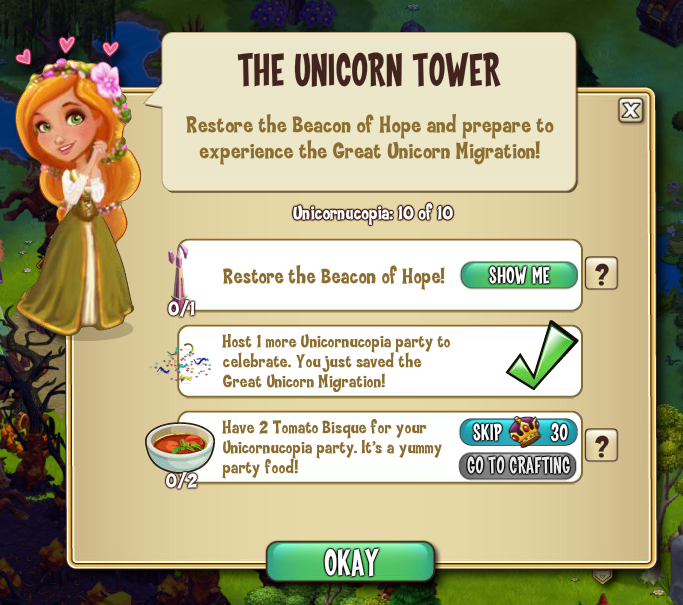 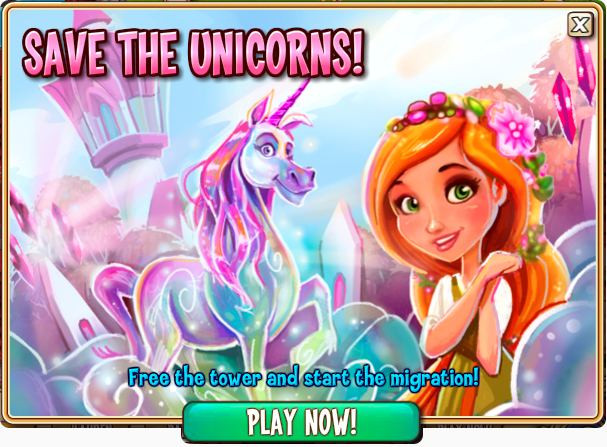 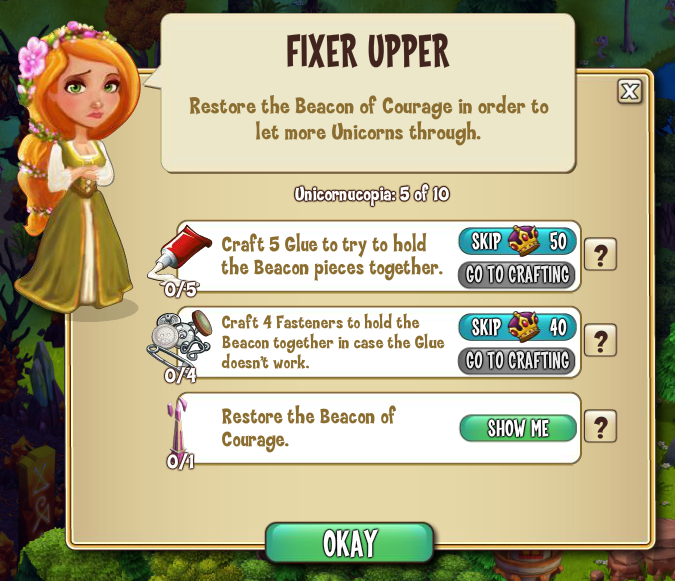 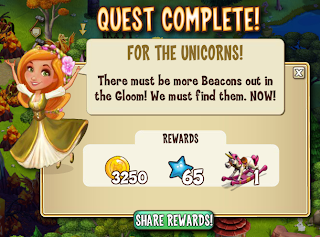 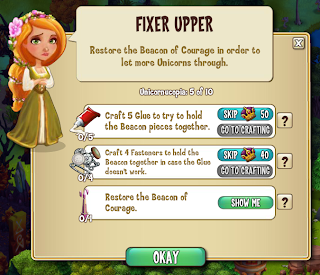 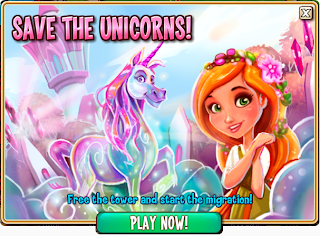 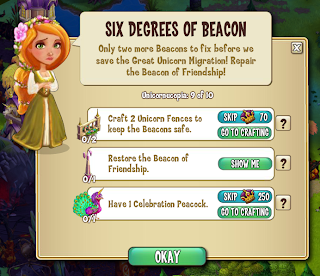 Help her make preparations through the Gloom so that the Unicorns may safely pass through your Kingdom! 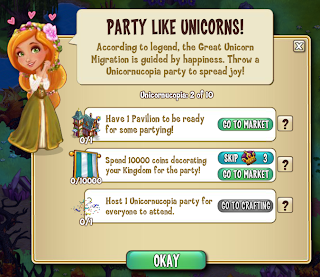 CLICK HERE for the Parties Guide. 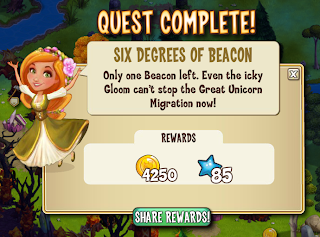 I completed a quest, but it is not moving forward, why not? 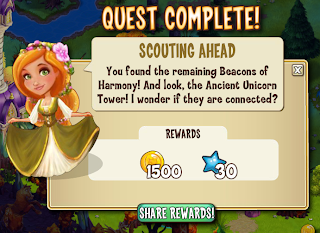 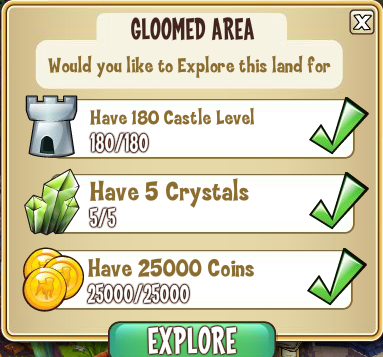 If your quest is stuck, a quick refresh should resolve this. 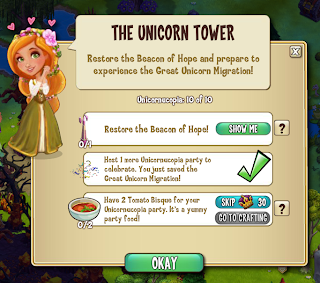 Check out the ZYNGA Official Feedback Forum on this feature!